We are your one-stop shop in Newnan, GA and surrounding areas for auto repair and maintenance. 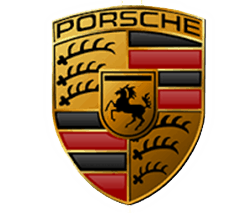 BMW, Honda, Toyota, Acura, Lexus, Nissan, Infiniti, Mercedes-Benz, Porsche, Volkswagen,Audi, Subaru, Hyundai, Kia, Aston Martin, Bentley, Bugatti, Ferrari, Genesis, Lamborghini, Land Rover, Lotus, Maserati, Mazda, McLaren, Mini, Mitsubishi, Porsche, Rolls Royce, Smart. Please Note: We do not service Diesel Engines, Saab, Volvo, Jaguar or Isuzu. We understand your need to get back on (and stay on) the road. At Driven, we value your time and business. Therefore, we only use factory replacement parts for repairs and the highest quality aftermarket parts for servicing your vehicle. We’re confident in our work, and we back that up with a 12 month/12,000 mile warranty! Don’t get bamboozled on your next car purchase. Are you in the market for a Honda, Toyota, Acura, Lexus, Nissan, Infiniti, or BMW? Driven Import Auto Car can perform a full multi-point inspection with a list of needed repairs and charges to present to the seller before purchase. If you decide to forgo the purchase of the first car inspected we will inspect 2 other cars at a 50% discount! Receive a 10% discount on repairs made from inspection list at next visit. Did you know we offer a pick-up/drop off service? If you are located within 5 miles of Driven Import Auto Care, we can pick up your car, make repairs, and drop your car off. Please make an appointment for this service in advance. *Not applicable for all services.